Today, we’re excited to announce that celebrated American fashion designer Jeremy Scott has teamed up with Google to create a line of limited edition Jeremy Scott Live Cases for our new Pixel phones. Phones and cases have become an extension of our personal style. Scott, the creative mind behind fashion labels like Moschino and his own collection, has brought his distinctive vision to this new line, turning your Pixel into the ultimate accessory. 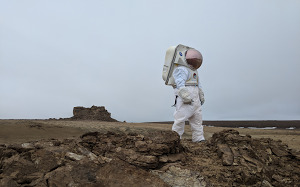 And we didn't stop there. Why not add a bit more style to the other ways you express yourself? It’s no secret that we emojis. Scott does too, but always felt like a few were missing. So together, we worked to create and bring his emojis to Pixel through a new customized Live Case and its companion live wallpapers. Scott created nine different canvases for Live Case that feature his cast of emoji characters. Fans can make the case their own by zooming and rotating the designs, creating the perfect layout for their phone case. Each Jeremy Scott Live Case comes with a companion wallpaper that updates daily with new characters. And with a shake of your Pixel, the characters come to life. 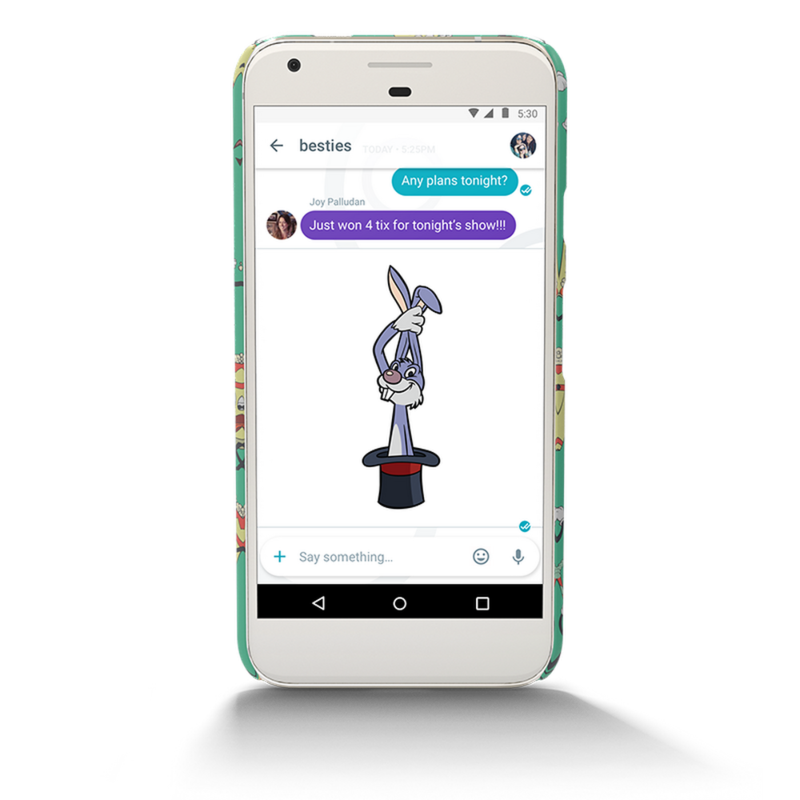 Lastly, to liven up your conversations in Allo, Messenger, or Hangouts, the Jeremy Scott Live Case comes with its own GIF keyboard that features the full line-up of 24 characters. Best friend scores free tickets to tonight’s concert? Nothing says “that’s amazing” like a GIF of a rabbit pulling itself out of a top hat. To celebrate the collaboration, we created real-life versions of Scott’s emojis that are currently popping up around the country. If you see one, snap a photo and use the hashtag #JeremyScottxGoogle. You never know where they might show up next. 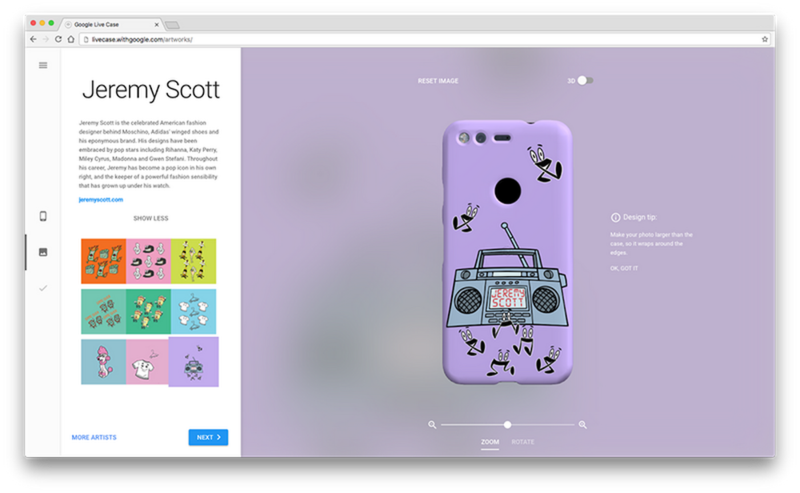 To make your Jeremy Scott Live Case now, head to the Google Store. Available in the US, UK, Australia, Canada and Germany, for the Pixel, Pixel XL, Nexus 6P and Nexus 5X phones.